Oleson Park Bandshell, summer concert home for the Karl King Band since the thirties, has been named to the National Register of Historic Places. This Fort Dodge landmark was a Federal Works Progress Administration project in 1935-1936. City patrons are currently raising money to restore and preserve the structure as well as to update its electrical and sound systems. 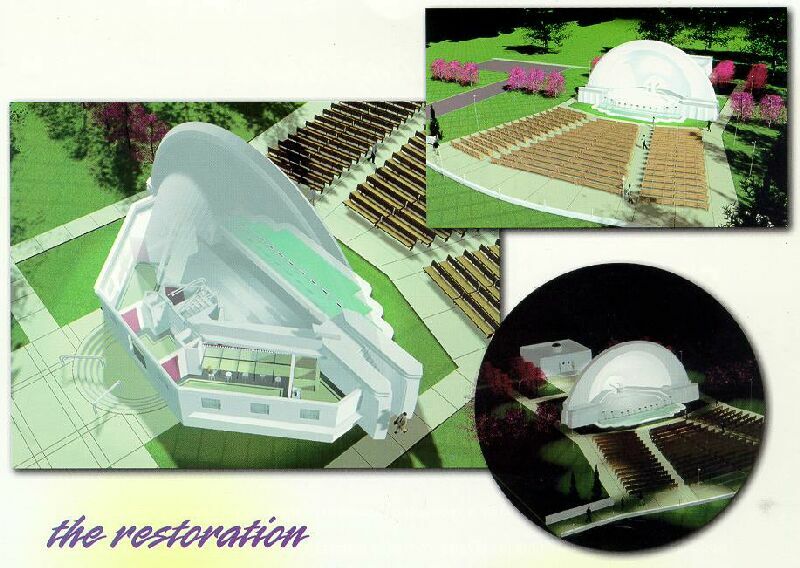 Pictured below is part of a brochure explaining the restoration project. A $253,000 federal grant that will be key to the Oleson Park Bandshell project has received final approval. City officials learned Wednesday that President George W. Bush signed the spending bill that contains the bandshell grant. Simply put -- this thing gets done this summer, said Jim Reed, one of the bandshell project organizers. This really validates what we're doing, he added. This is a great thing for the bandshell. Councilman John Hale, the other leader of the project, said every member of the large group of volunteers working to rejuvenate the historic bandshell is absolutely ecstatic about the federal grant. He said the group will now focus on raising $200,000 before the end of the year. Another $50,000 is expected to be raised during concerts next year. The physical improvements envisioned in the project are estimated to cost $825,000. Project organizers also want to set aside some money to pay for the future maintenance of the site. There is now $170,000 in the project's bank account, $200,000 worth of pledges to be paid this year and next year and the $253,000 federal grant. Altogether the project has $623,000, including cash, pledges and the grant. The money is being managed by the Community Foundation of Fort Dodge and North Central Iowa. Hale is the foundation's executive director. Hale and Reed said work on the bandshell should begin next summer. The federal money is coming from the Save America's Treasures program that helps pay for preserving historic buildings, collections, art works and documents. It was included in the Department of the Interior budget bill for the fiscal year that began October 1. The Oleson Park Bandshell was built in 1935-1936 by the federal Works Progress Administration, a Depression-era agency that specialized in public projects. 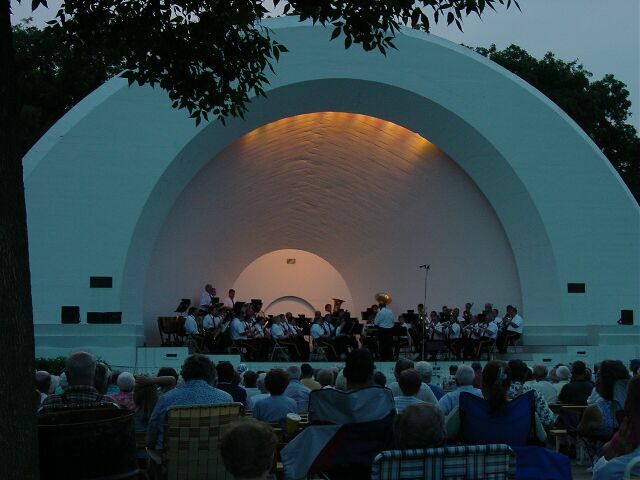 The bandshell was added to the National Register of Historic Places in May. 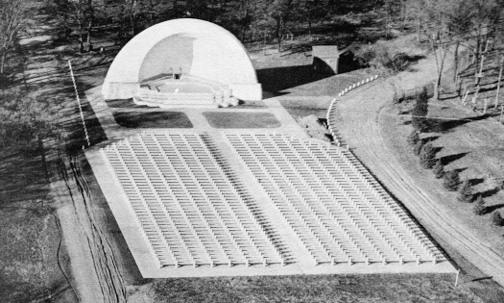 The bandshell project has four goals: restoring and improving the structure, updating its electrical and sound systems, marketing the bandshell as a place for more events and educating the public about Karl King, the Fort Dodge band leader whose marches are still played across the country.